How useful is port-knocking to you? Knock, knock. Let me in! Port-knocking has been around for a while, so many of you may already be familiar with the idea. But for those who aren’t, I’ll take a minute to briefly describe it. The concept is that a service (daemon in the Linux world) listens on the link layer of your network interface for “knocks”, or small packets hitting a combination of ports that you have predefined. The ports don’t have to be open since all of the magic here happens at a lower level. Once the combination of ports have been “knocked”, the service responds by doing what you configured it to do, run some command on your system. One of the most common uses involves opening and closing port 22 in your firewall for remote shell access. As to why someone might want to do this, try opening up port 22 on a public machine and then watch your logs fill up over the next few days with script-kiddies attempting to brute force their way into your system. If you have one user with a common username and weak password, it’s only a matter of time before someone breaks in. To avoid this, you can set up a port-knocking server, like the one at zeroflux.org. The page there gives you configuration examples for exactly the scenario I related above. It even offers a mechanism to somewhat ‘randomize’ the ports being knocked so that someone listening on the wire can’t knock the same ports with the same results. How do you use port-knocking? Because the knock daemon can be configured to run any command upon the right sequence of ports, the possibilities for its use are quite wide. My question to you is, apart from the above example (opening up port 22 for shell access) in what other scenarios would you find port-knocking useful? Do you currently use it for automating other tasks? Comments welcome. One afternoon, not so long ago, I received a phone call from one of our clients asking LightCube to investigate why a web application hosted on an internal Linux server was so unresponsive. After a little bit of poking around it became apparent what was happening: someone had managed to break into the system and create a rogue account for themselves and was using this account to continually attack other machines! How had this intruder gained access? One word: VNC. Before I explain further how this happened, let’s step back for a second. Our client is a fairly large company, with skilled IT professionals managing their network infrastructure and services, mostly hailing from the Windows world. When they set about developing an internal web application, however, the low cost of Linux and Open Source was too attractive to ignore. So they grabbed a distro, set it up on a machine and got to work. 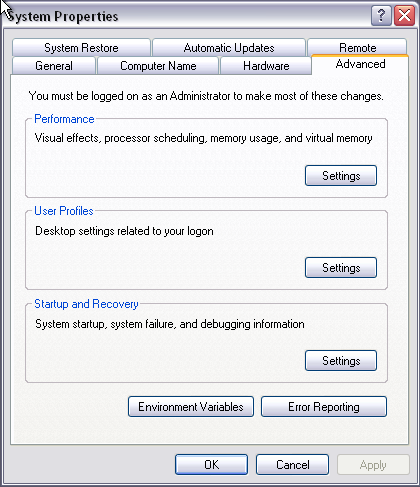 Coming from a Windows world, the technicians incorrectly (but perhaps understandably) expected an item labeled “Remote Administration” would configure a service that behave like Windows Remote Desktop Connection. Instead, what they configured was a very insecure VNC service on a publicly available machine. Don’t misunderstand me. This isn’t a case of “Windows has better security than Linux”. I think someone would have a hard time arguing that point. This is a case of someone enabling an insecure protocol on a Linux system without really investigating how it works. To be fair, this particular distro did make it seem like this was a pretty standard way of remotely administering the machine. A little note from the distro about VNC being unencrypted and using poor session handling methods would have been more helpful, though. We closed up the security holes on their system and ran a full audit. Fortunately, the damage was minimal. Afterwards, we needed to find an alternative for remote desktop management. What we found was NoMachine NX. All the communication takes place over an encrypted SSH connection, so it is secure (well, as secure as your password or public key, but that’s another article). But it’s also fast. NoMachine has taken a different approach to data transmission, such that it outperforms VNC any day. The server currently only runs on Linux or Solaris, but they have clients for all major desktops. If you absolutely must have a GUI running on your remote Linux server, I highly recommend NoMachine NX as a better way to achieve it. Posted in Clients, Linux, Security, SysAdmin. People use Eclipse. People use Windows. People use these tools together to develop code. I am not (typically) one of these people. My development environment is usually either Coda on the Mac or vim on the command line. But I do work with people using Eclipse on Windows, and while the code we’re building together is not platform specific, it does help if we all have the same capabilities. So when I added some functionality to our Apache ant deploy script to synchronize files on a remote server using rsync, the next step was, of course, getting it to work on Windows. But this doesn’t quite work in the Eclipse+Ant environment on Windows. 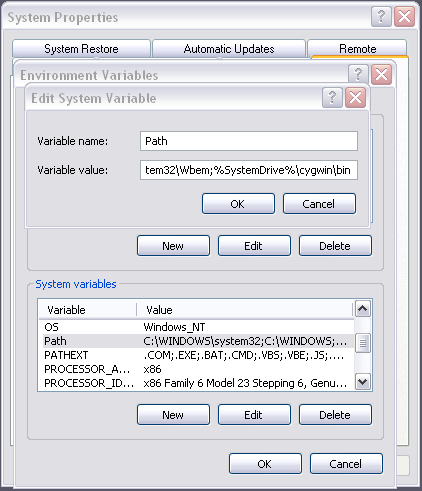 The reason is because the variables holding the directory locations get represented in Windows path notation. (Imagine a C: at the beginning and all the directory slashes are backwards.) Rsync can’t handle this. It’s a Unix-based tool. It’s expecting a Unix-style path. So to get around this we set a dir attribute in the exec element which causes ant to change to that directory before execution. We also use a ‘.’ in the rsync argument line to specify that the source contents are this directory. This has an odd side effect: rsync attempts to set times on the corresponding directory at the remote location, which tends to fail. So we use the -O option to tell rsync not to set times on directories. The other arguments given to rsync are for specifying more sane permissions on the remote files since Windows wanted to kill all permissions for group and world by default (--chmod=g+w,Da+rX,Fa+r,F-X) and for excluding our local Subversion files (--exclude .svn). On this screen you need to add a couple of packages, both in the Net section: Net -> rsync and Net -> openssh. Just click once on each of those packages and it will add what you need. Finish up the installation by clicking on ‘Next’ and ‘Finish’. If all is good just exit and that should be it! The next time you open up Eclipse, it should be able to call rsync and run successfully through your Ant target! If you are an Internet Explorer user, please, please, please, update your browser. On a recent project, I spent considerable time trying to get the layout and controls of the site to work when viewed through Internet Explorer 6. Why did I feel this was important? Statistics show that a major portion of the web users are viewing online content using IE. Estimates run anywhere from 60% to 85% of users. Statistics vary, because no one group or organization can possibly gather data for all users, however, taking many popular sites and averaging their statistics can give you a pretty fair idea. Of the 60-85% of users that view the web with IE, a large portion still seem to be using IE version 6. This is a bad thing… a very bad thing. Why? Tips and tricks exist to avoid most of the bugs, but seriously, should web developers be expected to side-step standards to support users that continue to use buggy software that is 8 years old (released in 2001) and is now two versions behind the latest? More importantly, money is regularly wasted in the time spent to ensure that a site or front-end to a web application can be properly viewed in IE6. If you are a web developer, how much time do you spend ensuring that IE 6 users can view your site? You might be surprised by the answer. Internet Explorer is now up to version 8. Thankfully, this version finally takes the approach of adhering closely to the W3C’s standards. If you are an IE user, (and this post was not intended to spark that debate), please, make everyone’s life easier and update your browser. I was looking around for concepts in building a reasonably secure HTML login form without using SSL, and I came across an interesting article (link at end of post). The concept it outlines is fairly simple, and I’m a little annoyed that I didn’t think of this myself earlier. Essentially, the idea is that the password never actually leaves the client machine. Instead, the client sends a cryptographic hash of the password. For other security reasons, we also don’t want the server to store the password in plain text, so it should only store the hash value of the password. Of course, this alone isn’t enough, because anyone scanning the wire could simply capture the hash and send that along to the server and authenticate. What we need is a way for the server and the client to agree that they have the same hash value for the password, without actually sending it. 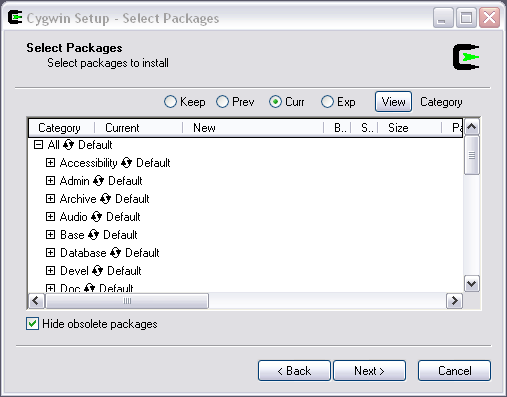 To accomplish this, we can set up the server to generate a random string and send that to the client. Then, both server and client append the password’s hash to the random string and perform a hash sum on the combined string. The client then sends that string to the server and if it agrees with the result the server got, we have a valid authentication. The article referenced above included some sample code to illustrate this functionality, but I believe I can simplify it even further. It’s not a practical, real world example, because we’re not sending a user name or retrieving a password from a stored location on the server. But it should be enough to illustrate the concept and give a developer a head start in however they wish to implement. Personally, I plan to instantiate the code in a class and use XMLHttpRequest instead of traditional POST methods. Anyway, on to the example code. Note: This example doesn’t actually look up any stored user login information. Instead it simply uses a pre-defined password: ‘password’. // Function to generate a random key. Posted in PHP, Software Development, WebApp. This is a test. If this post is successfully published, it means I am currently using one of the most useful and complete web browsers of the Web 2.0 age. Meet Flock. Flock brings together your online presence into one complete package. Using sidebars and widgets, flock connects you to your Gmail, Yahoo Mail, AOL Mail, Flickr, YouTube, Digg, Facebook, Picasa, Blogger.com, (etc., etc.) accounts and lets you access/use their features within one sleek interface. The actual core browser is powered by Mozilla, which means that if you know or use Firefox, Flock will feel very familiar. Everyone’s been talking about Web 2.0, bringing the internet to life and exploring new possibilities with dynamic content and interaction. Well, here it is.